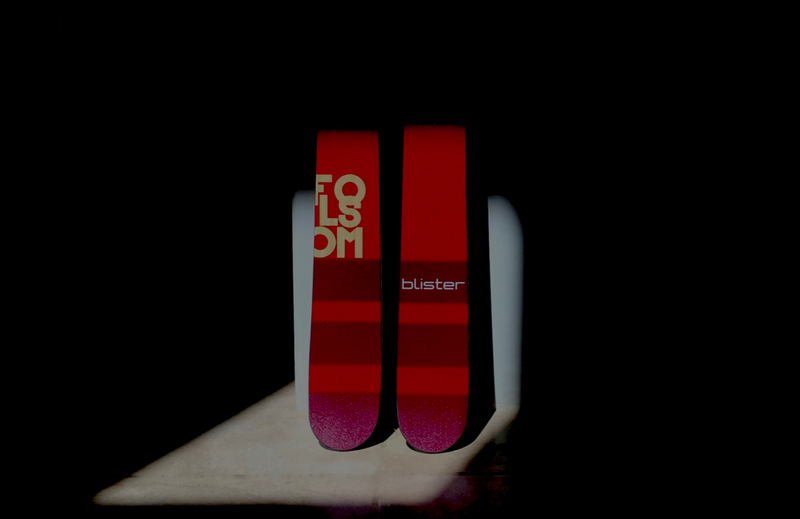 We posted on Instagram a while back a teaser about a custom skis project that I was doing with Folsom Skis. And today, I’m going to finally be getting these custom skis on snow. I first talked about skis with Folsom owner / chief of operations / head ski builder, Mike McCabe, on this podcast we did on custom skis. Fast forward, and Mike was interested in having me go through Folsom’s custom process. So after a couple of phone calls, several emails, and one very long visit to the Folsom factory in Denver, Colorado, we settled on this custom ski that you see here. I’ll say more about the process as we go, but the punchline here is that we decided to go with Folsom’s “Primary” shape. Mike was clear that he wanted me to think of this as a ski that I would use as an everyday, all-mountain ski. But it turns out that Mike and I share a lot of similar opinions on ski design, and this Primary shape — coupled with Folsom’s “SRC” — Subtle Reverse Camber — is one of Mike’s own personal favorite setups for an everyday, all-mountain ski. I often like a bit (or a lot) of traditional camber underfoot, because I like to get some pop and rebound out of my skis. Mike and I discussed this, but he employs a construction process that he says allows reverse-camber skis to still return a bit of energy out of the turn. I’ll say more about this later, but this claim certainly made me curious. (1) 185 cm Blizzard Cochise (2014-2015) – I love this ski. But a ski like the Cochise that had a less traditional mount point would be intriguing — would it be possible to keep the Cochise’s stability in variable conditions while bumping up its playfulness? (2) 186 cm Rossignol Sickle – For the two zillion people who are still looking for a Sickle replacement, could this Primary be an option? And given that in the last year of the Sickle the longest length Rossi offered it in was 181, could the Primary function as something like a longer Sickle? (3) 186 cm Faction Candide 3.0 – I think the 3.0 is a really good, really interesting ski. But for bashing around at speed in bumped-up, steeper terrain, I personally would be very interested in a heavier version of the 3.0. (4) 187 cm Moment Meridian – I love how hard the Meridian can be pushed, but I have also been curious to see how the Meridian would perform if it had mellower tip and tail rocker lines and tip and tail splay, since I don’t care too much about the deep-snow performance of my ~107mm-wide ski; instead, I want to emphasize and enhance performance at speed in firm-snow and in moguled-up terrain. Once again, it seemed like this Primary SRC could fit the bill. (5) 184 & 194 cm 4FRNT Devastator – I like the Devastator, but I feel like I’m in a bit of a goldilocks situation with the 184 being pretty short for me (given its super deep rocker lines), but also feeling like I don’t really need the length (194 cm) or the significant weight (~2600 grams per ski) of the next size up. So both length-wise and weight-wise, the Primary SRC seemed like a potential solution. When Mike asked me what I had in mind, I told him that I was thinking -6 to -8 cm behind true center. He said that was going to suggest -7 cm for this build, so we were on the same page. Done. Given that Mike already knew that I actually like a bit of weight in my inbounds skis, he quickly suggested that we go with a core made of a blend of Poplar, Maple, and Bamboo. 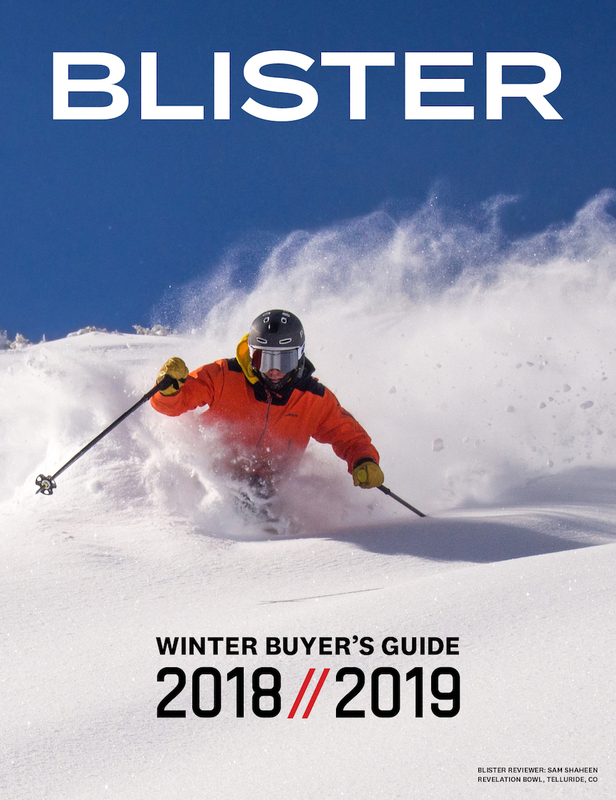 He said that this blend would keep the ski quieter in variable conditions (than a lighter poplar blend), would make the ski more lively (than, say, going with a straight Aspen blend), and it would be more robust — while adding 141 g per ski. I said Yes to all of this very quickly. Given that we were already starting with a very pivot-y, reverse camber platform, I told Mike that I had no interest in adding much tip or tail taper to this ski. This shape was going to be easy to turn, so we don’t need to make it even easier to turn. “Yep, exactly,” Mike said, and we quickly moved on after discussing this for about 9 seconds. To be clear, I often tend to like stiffer shovels, but I told Mike that I’d follow his lead on this one, since I’m very curious to see how this flex pattern feels on snow. Interesting. The single biggest question I have is whether this shape + flex pattern will amount to a ski that I can drive quite hard? Or will this ski be less of a charger, but more of a really fun, playful ski? Looking at the rocker profile pics I was surprised to see how much rocker, especially tail rocker there is. I didn’t get that sense from your write up. This is pretty much my ideal ski shape and construction that doesn’t exist. More versatile than the Hoji or Chugach, less Moment-y than the meridian. I love that you could tweak the design to either be fatter or lighter or both. 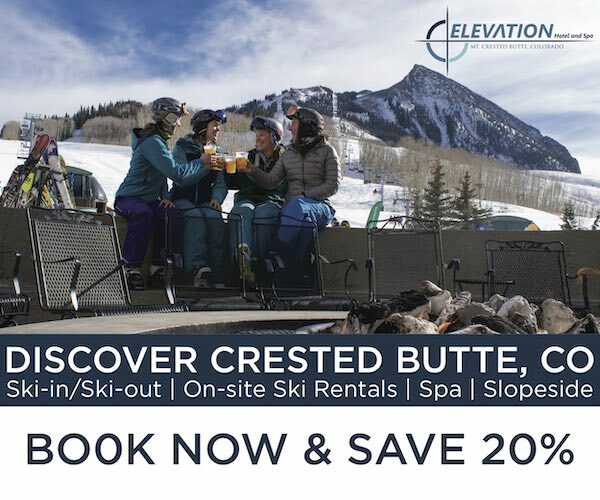 I just can’t spend $1000 on skis…especially when everyone can get a great ski for $400-500 in April / May. 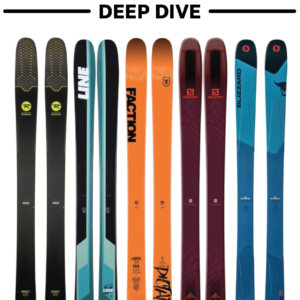 The issue is: skiers can have TWO pairs of skis for the price of one custom pair. The real question is?…. What bindings you going to put on those bad boys! Hot damn! I’ll second Daryl’s comment: I hope Blister forces Folsom’s hand and we can get these for around $600 when they make a bunch of them. 1) Straight pull length of 186-187. Yes! 5) Potentially more energy out of a carved turn according to Folsom? I 2nd or 3rd Dan and Daryl…..I am looking at Meradian and Dev….I have Sego Prospect 120 with a partial Swallow tail for deep days in PNW it has little tip taper if any at all..the Prospect 112 is more playful/quick..I have demo bindings on them both so I can adjust +1 or -2……I am surprised the Dev does not come in 187 or 88….this Folsom looks like a charger…..looks like a lot of effective edge zero camber…..and bet editor is pretty happy about now. So my reading on Meridian says it does well on groomers…..and -6 mount for All Mtn…..is the Meridian something one would enjoy skiing groomers all day ? Regardless of quiver…say ya went to ski area and only brought 1 ski was expecting a dump but storm missed mtn, freeze thaw inversion instead – should have brought front side 88……I am hoping and thinking the Meridian would be OK maybe not 1st Choice obviously. Still hoping JFE will post some first impressions of this ski soon. 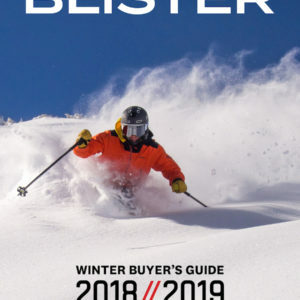 For those that really want to try the Folsom Primary SRC but don’t want to spend full custom money, know that Backcountry is selling the stock versions of this ski for significantly less than the cost of custom. Hi, Dan – apologies for the delay — we’ve been busy as hell with the buyer’s guide. Full review drops this Sunday. 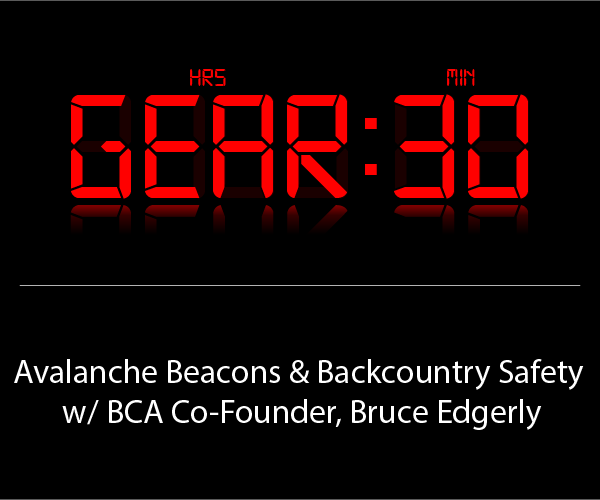 We put a lot of time on the ski this spring, and there is a lot to talk about. A shorter writeup is in our buyer’s guide. But long and short: you can basically turn this shape — the Primary with the “SRC” profile — into anything you want. But having owned the metal Katana and the Sickle and the Devastator, I’m now intrigued by the custom Primary option to get the best combination of traits possible. Might have to wait on your review of the Hammer, and consider making my own “Hammer Lite.” Will the Hammer feature both a stiffer shovel, and decreased tip and tail splay? Hi, Dan – I think the short answer is, “probably?” (And yes, I’m 5’10”, 175-180 lbs.) I just tend to prefer stiffer shovels — *for all-mountain / off-piste use* — and that has come out in a number of reviews I’ve written (cf. Black Crows Atris, J Skis The Metal – two skis that I reference here.) Go too stiff, however, and you’d certainly give up some of the fun factor of being able to bend these skis in half while carving. But I’m usually ok with that compromise. As for the Hammer … a couple of the key things (that I’ve already spoken about with Mike) are (1) stiffen up the shovels; up the weight to about 2300 g. Of course, many / most people prefer a lighter ski, and I understand why. But for this “variable charger” version of the Primary, I think ~2300 g in a 188 makes good sense, and honestly, I wouldn’t be at all afraid of going heavier — this profile is so easy to ski, you can afford to go heavier. And as for the tip & tail splay, I am a bit tempted to reduce it — since as I note in my review (and unlike a whole lot of skiers) I wouldn’t be aiming to optimize this ski for deep snow; I’d be optimizing it for chopped-up snow — and even fairly beat conditions. Variable. But the version I reviewed feels nicely balanced, and I don’t think the way to design skis is to simply say take this exact ski, reduce the tip & tail splay. So it’s something I’ll discuss with Mike. And congrats on the rapid healing, glad to hear it. Hopefully you’ll be out on snow before you know it. Sounds like a ski ripe for experimentation with an idea I’ve been bouncing around for a few seasons now. To increase damping, tweaking longitudinal flex pattern, and add or remove mass in a customizable fashion… add a removable tip to tail stiffening object that could be attached to the ski top sheet. I experimented with 1/4 inch thick aluminum strips to stiffen up the forebody of my k2 darkside skis and they had a noticeable effect of stiffening the flex and give the ski a more solid feel when charging and working through heavy wet ‘pushy’ cementy snow. The alu strips were carefully bent to match the rocker profile of the ski and attached via heated double sided carpet tape for optimum and a durable bond. It was easy to remove them after heating the area slightly as well. With this option perhaps you could tweak the version of ski skied by J.E. and have a more chargey, stiffer, damper ski with the same shape for conditions that require it or days where you prefer it…then remove the appendages to revert to the easier going lighter o.g. ski? 2 skis in 1? …and also, sending vibes for continuing positive healing; really hope it all comes together for ya for ski season either sooner or later. Yes! Since my 12/13 Cochise is finally going into retirement (kicking and screaming), and the only tweaks to it I would have made were less dive and a bit less grunt required on occasion, I’m really looking forward to hearing how your Hammer turns out. Jonathan, did I read correctly, no metal in the Primary you tested? Would Folsom build that same version with a ti layer tip to tail? Thinking dampness, mass, flex boost and that smooth ti feel. Glad to hear your fusing quickly. See you in LCC soon. That’s right, Andy, no metal in the Primary I tested. And I’ll have to double check with Folsom, but I don’t think they’re currently working with titanal. Can you compare/contrast this* with the wren 108? The wren sounds way friendlier than it has been in a while now, and the primary (with a bit more stiffness than this setup) seems like it’s starting to push into stable enough but still fun. Or am I reading too much into them being compared to some of similar skis? Both were compared with plenty of other skis, considering both for a daily driver (and appreciate the answers you gave me about the wren a bit back). * but with more beef, basically “the hammer” vs wren speculation, since I’m planning to pick something up in the next couple weeks. Just to clarify, the Wren 108 has been equally friendly for the past couple of seasons now, but all in all, you are correct to see them as belonging to a very similar category. And no question that even with a bit of an adjustment toward ‘The Hammer’ end of things, you’d have ‘more’ ski than a Wren 108. Do keep in mind — the Wren 189 would technically be the direct comparison to the 188 Primary we reviewed, and we’ve only skied the 184 cm Wren. But the Primary is a pivot machine with lots of pop; the (184 cm) Wren 108 is more of a forgiving, directional ski that can still be pushed a bit, but not like the Wrens of old. Yeah, I was thinking 189 Wren and 188/192 Primary. Sounds like, even with a bit more meat on it, the primary is likely to be less well behaved on chopped up heavy snow. In tahoe, chopped up heavy snow is kind of ubiquitous. Chatting with Folsom tomorrow, this was extremely helpful! Really appreciate your feedback. You did mean “you’d have ‘more’ ski with the wren” rather than “than a wren” right? Any updates on the Hammer? Did you end up decreasing the tip/tail rocker splay or rocker length? Any days on snow with the Hammer yet? 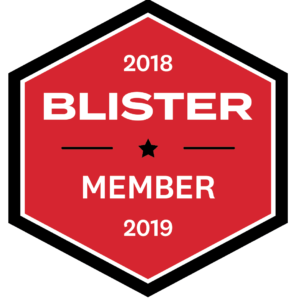 Lastly, if it turns out great, do you think Blister will offer the same discount to members on the Hammer as you did in your initial Folsom Primary build? Hi, Dan – no updates yet. I’ll be circling back on this shortly, but the low tide + crazy busy-ness for both Mike & me means that we’ve shelved this a bit … which is probably for the better … since I’m not supposed to be back on snow till February. But we’ll see if I actually hold out that long…. Just received my Primary in the mail 2 days ago. I went w the same flex and core as the Blister SRC version but added 2-3mm of camber. Folsom calls it the directional rocker build which has tip rocker/camber underfoot/shallow tail rocker. I told Mike I was looking for more of an in-between storm ski but not a “charger” like the Cochise. Can’t wait to get it on the snow and try it out. Just need some snow now….